Quite sobering when a 16 year old has to tell us ‘adults’ that we fucked-up and continue to do so. I’m glad she does and inspires a generation of kids to protest in the streets. I’ve literally thrown away my last car in 1999 and commuted 42,004km by bike since 2012. Last time I took a plane for holidays was in 2002, last time I had to take a plane was in 2012 (it was job related). At home, my electric energy consumption in 2018 was close to 1,800kWh. About 208kWh of electric energy was used to power my electric trike for 10,422km and the electricity came from renewable sources*. I still use too much water, though. I know its only a drop in the bucket, but what did you do? *well, at least I’ve paid for electricity from renewable sources. How much energy actually comes from nuclear and coal power plants at any given moment is anybody’s guess, but at least they don’t get a dime of my money. Justin pretty much nailed every topic about electric assist kits for cycles. Now real wonder, cause this guy really knows what he’s talking about. Justin runs Grin Tech and is the inventor of the Cycle Analyst (among other things). 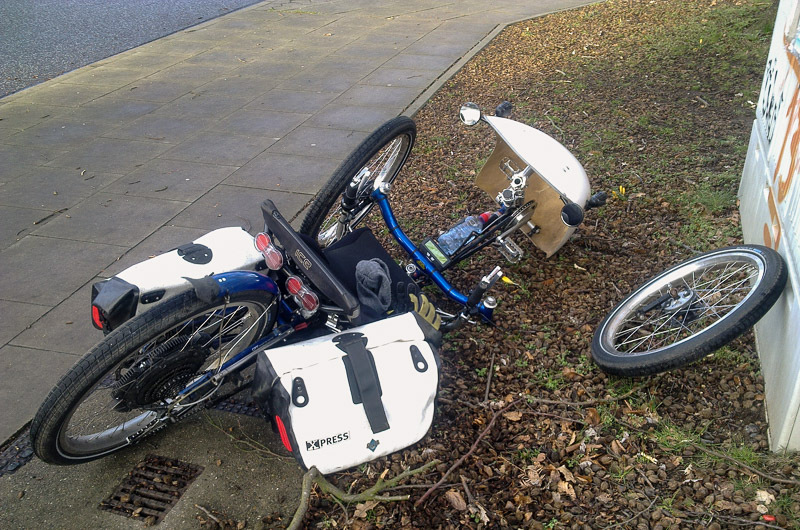 Don’t use regenerative braking in recumbent tadpole trikes or velomobiles! While its fine (and beneficial) to use regenerative braking on almost any electric vehicle, the handling of recumbent trikes with a single rear wheel get’s scary to outright dangerous (in rain for instance), when you apply any braking force to the rear wheel. Thats actually no real loss (except for the power regeneration), since the two front wheels provide more than twice the braking performance of a two wheeled bike. Finally, Velomobiel RO launched their own website. Its still a bit rough around the edges, though. Velomobiel RO in Romania is building various velomobile models for several velomobile manufacturers and is the main velomobile production facility in Europe. Actually, Velomobile RO is currently the biggest velomobile production facility in the world. Since 2012 Velomobiel RO manufactures the velomobiles for Velomobiel NL (Quest, Strada, Quattrovelo) and InterCityBike (DF, DFxl). In 2017 they started building the Milan SL Mk4 for Räderwerk and since 2018 (I think) they manufacture the Orca for FlevoBike. Currently, they are starting the production of the Alpha 7, Daniel Fenn’s newest velomobil design* and will distribute it directly through their international velomobile dealer network. So far, Bicycle-Evolution in Dallas is the sole importer of the Alpha 7 in the US. *Actually, Daniels newest velomobile design is the ‘After 7’. It will be build in limited numbers by himself (basically, a refined Alpha 7 with closed front wheel wells, tank steering and a €15k price tag). The expected weight of the ‘After 7’ is 17kg. 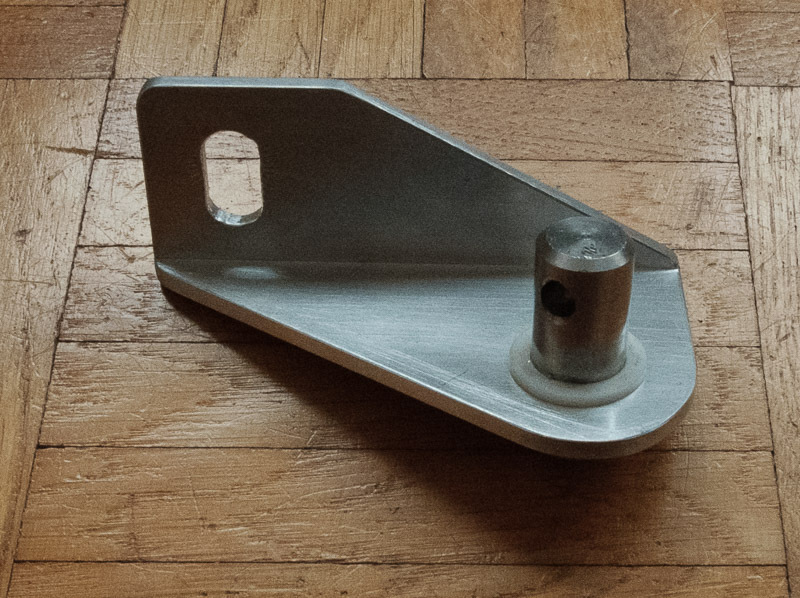 I had to build a new hitch for my DIY bicycle trailer, since the original Carry Freedom Lollypop trailer hitch doesn’t clear my Ortlieb XPress panniers at all, and my ‘version 1.0’ hitch was just a bit too short for the Ortlieb XPress size ‘M’. The new hitch. 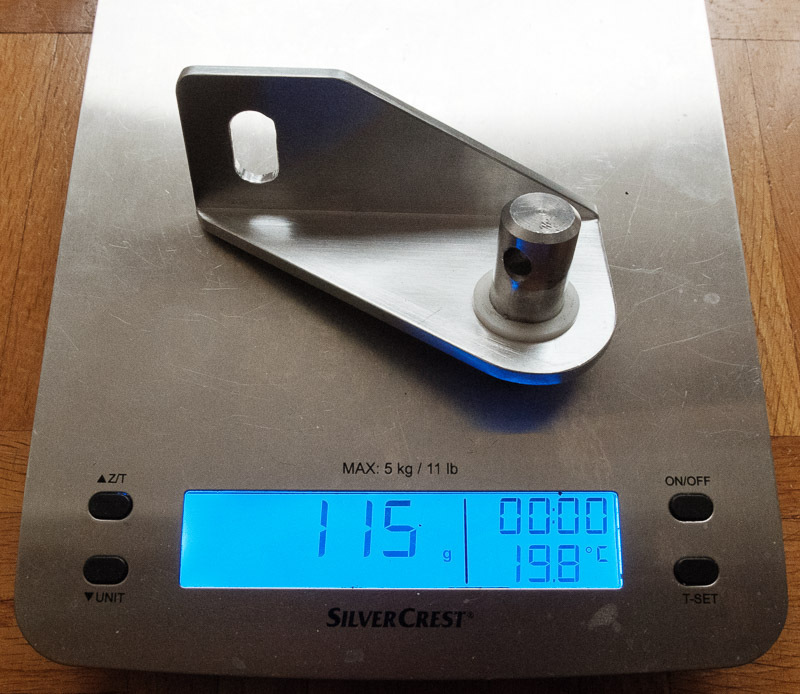 Made from 60 x 40 x 4mm aluminum L-bracket (AW6060). 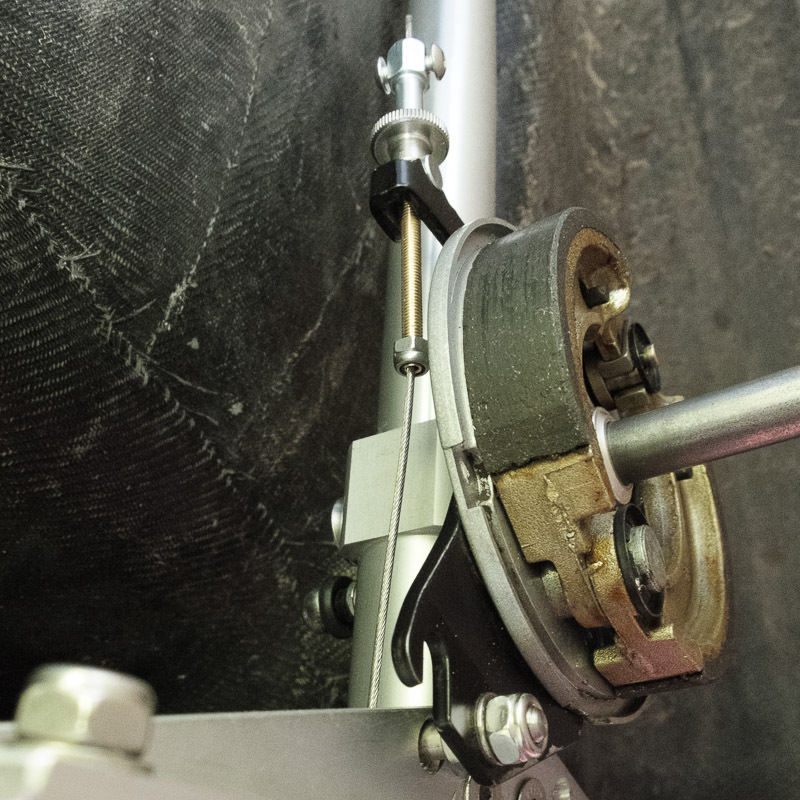 The oval hole for the axle allows to mount it to hub motors with 12mm and 14mm axles. The Cycle Analyst v3 has a fairly brightly illuminated screen. Usually no problem on a ‘real’ bicycle, but on a recumbent with a tiller in front of your nose, or inside the fairing of a velomobile, the bright screen is pretty distracting at night. Luckily the Cycle Analyst v3 got a ‘forgotten feature’ in form of an unused red back light LED, in addition to the white back light LED. I asked Justin about a possibility to lower the Cycle Analyst screen brightness and he wrote they actually forgot about the red LED. You have to open the Cycle Analyst and simply add a solder bridge to activate the red LED. 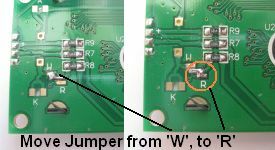 If you like, you can even solder two wires to the solder pads and use an external switch to choose between red or white illuminated screen. I tried it on one of my Cycle Analysts, but the red screen is bright enough to see at night, while the power of the red or white back lights are equally too low to make any difference in daylight. Hence, I’ve simply added the solder bridge to my other two CA’s. Most velomobiles come with tiller steering, where the brake cable adjustment is done at the brake lever. That doesn’t work with the small adjustment range of the Avid Speed Dial brake levers of the tank steering in my Milan. Since the brake cables for the front brakes are usually not adjustable similar to recumbent trikes, I had to build something myself. Again. 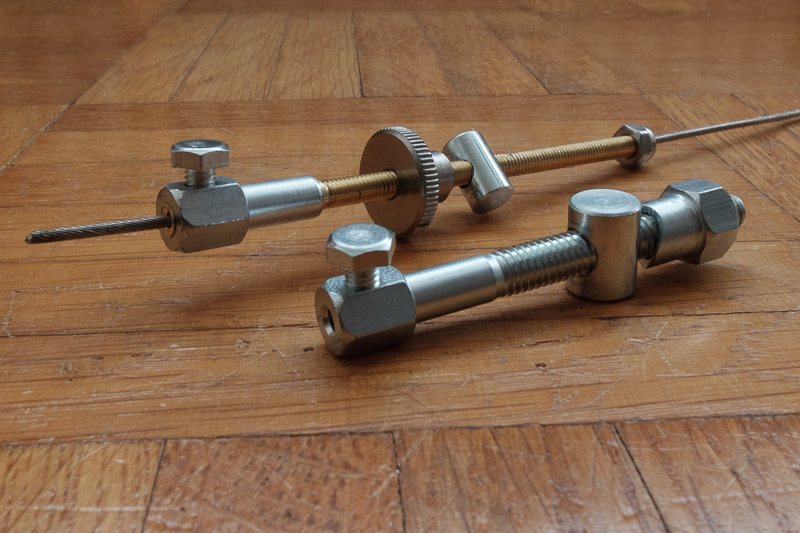 At Ebay I found brake cable adjusters for Moped rear brakes, but since they use M6 adjustment threads, they don’t fit into the levers of Sturmey Archer drum brakes. That would have bin too easy, I guess. Hence, I’ve cut the Moped adjusters apart, cut a M4 thread into the stub and inserted a brass tube with a M4 thread into it. The brass tube is screwed into the steel part and secured by a few drops of Loctite 601 (high strength containing compound) on the thread. The Loctite should prevent galvanic corrosion at least between the brass and steel part. Regarding corrosion, the material mix of brass, zinc plated steel and stainless steel is less than ideal, though. Should look interesting after the next winter. 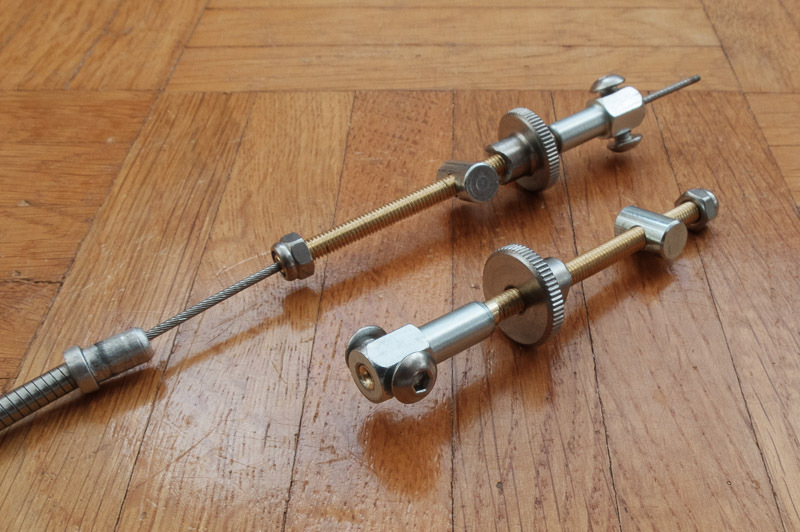 The brass threads allow 35mm adjustment and are probably a bit too long. I’ll have to determine the best length later. 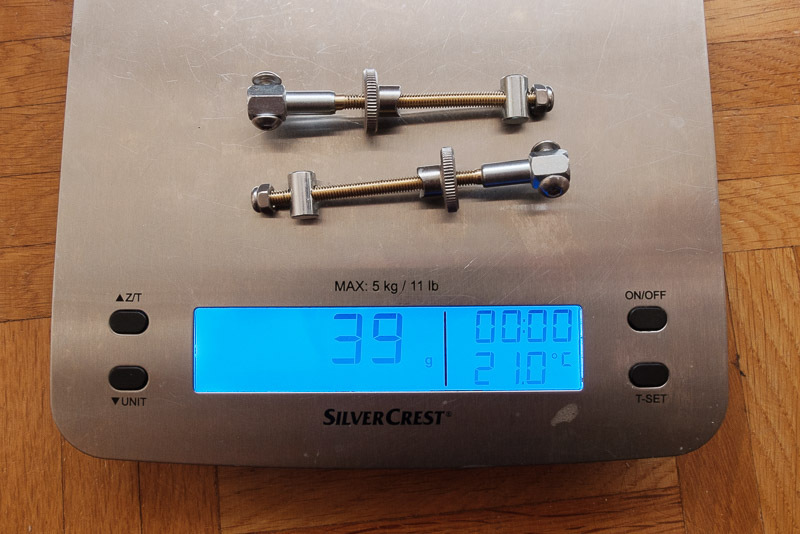 To prevent unintentional loosening of the adjustment nuts, I’ve filed a radius into them and now they securely lock into the small round part, that locks into the lever (see last image), while being easily adjustable. If the brass tube should break for any reason, the brake would still be operational, since the brake cable goes through it and is clamped at the end by two short M4 bolts. The installed brake cable adjuster. Gary Solomon of Laidback Bike Report and Doug Davis of Bicycle Evolution made a very informative video describing several velomobile models. Remember that I’ve complained about the wet grip of the Schwalbe Big Ben Plus some time ago? The tarmac in that roundabout wasn’t actually wet, just a bit moist from the rain at night. Hit the curbs with the front wheel and the king pin broke off on my way to work this morning. I might rode a bit too quick, though. Well, while the wet grip of the new 26″ Big Ben Plus rear tire got much better after storing the tires for three month, the 24″ Big Ben Plus tires for the front wheels didn’t. You wanna know what’s really stupid about the situation? I’ve already got a new set of Big Ben, but was too lazy and planned to mount the new tires next weekend. Thies Kardel made an absolutely stunning ride video featuring his Callenge Fujin SL2 and shared some background info about making this video (40 hours of work!) in this post at the BentRider forum. Enjoy!